For those interested in natural sciences and seeking good careeer prospects, the practical and future-oriented study programme of forestry (B.Sc.) might just be the right offer. In times when the diverse economic, ecological and socio-economic functions of the ecosystem forest are a matter of debate between private and public shareholders, the study programme enables to balance and implement the various target systems and tracetories of sustainable forest management strategies. The focus is on preserving the diversity of functions (utilization, protection, recreation and education) in all forests. 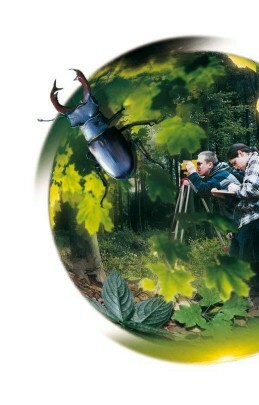 The Forestry Study Programme (B.Sc.) was positively evaluated by external experts in 2014 and re-accredited by the ASIIN Accreditation Agency in 2015 until the year 2022. The additionally awarded ASIIN quality seal provides assurance that subject specific quality standards of the academic discipline and of the profession for which that programme prepares are met at high level. It confirms further that a suitable framework for good teaching and successful learning is provided. The award of the seal is based on learning outcome oriented standards of the involved disciplines.